We offer a range of different options to suit your needs, and a whole load more traditional album options to view in store. Personally designed using your favourite images. The Modern and Deluxe Storybook packages will perfectly capture your very special day with a contemporary album in your choice of back or white finish. Includes up to 4 hours photographic coverage, extra large proofs as well as online proofs, retouching, artwork and a superb 25cm x 25cm album containing up to 50 of your chosen images. The Deluxe is an upgrade to the Modern Storybook and includes all the same features but with up to 8 hours photographic coverage; a larger 30cm x 30cm album containing up to 100 of your chosen images. 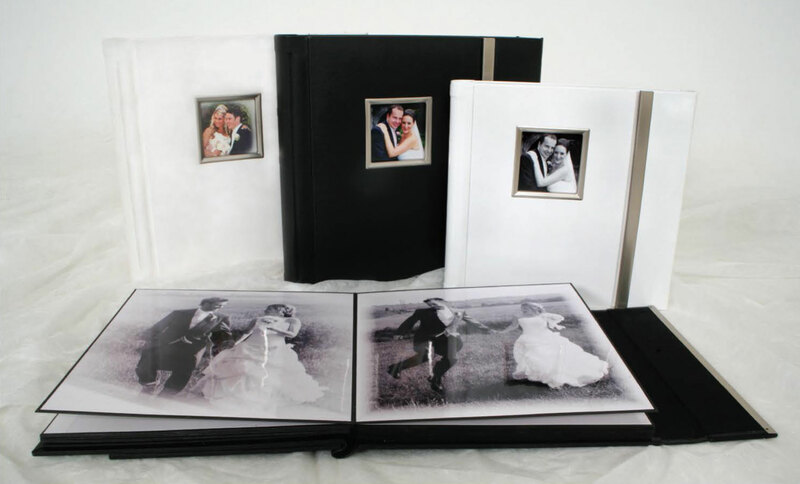 The Venice service includes books and enlargements not only for the Bride and Groom but also for both sets of parents. Two photographers with all day coverage. The extra large book measures 40x30cm and you are able to select 80/90 photographs from approximately 300/400 proofs. This service is exclusively personal and maintains a feeling of exhilaration when looking through each page. The album is simply unique and breathtaking. Each page is filled with your favourite hand-picked photographs. At Nigel Barrett Photography “The Italian Storybook” is THE original album from Italy with incomparable quality to every other album. 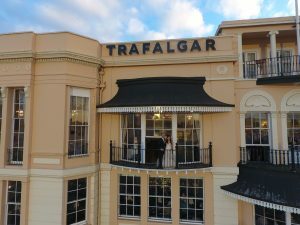 This service includes a selection of both reportage and traditional shots. 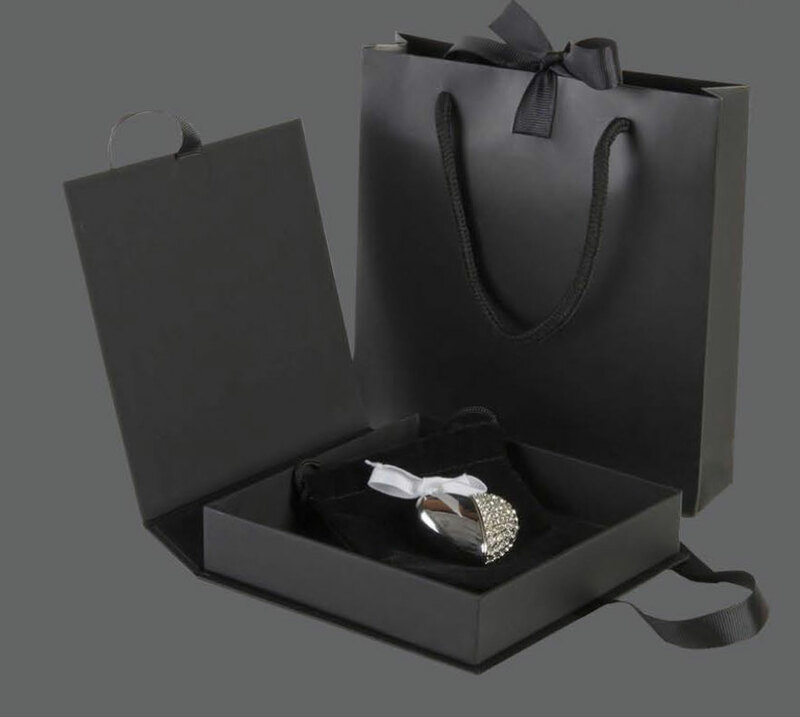 All three options in this category receive all the proofs and online viewing, plus a complimentary calendar. The Milan service includes one photographer with all day coverage. The large book (35x25cm) contains 50 pages with your selection of 65 pictures from about 200 proofs. The Rome service includes two photographers with all day coverage. This digital package gives you the freedom to share, print and copy your images over and over again. 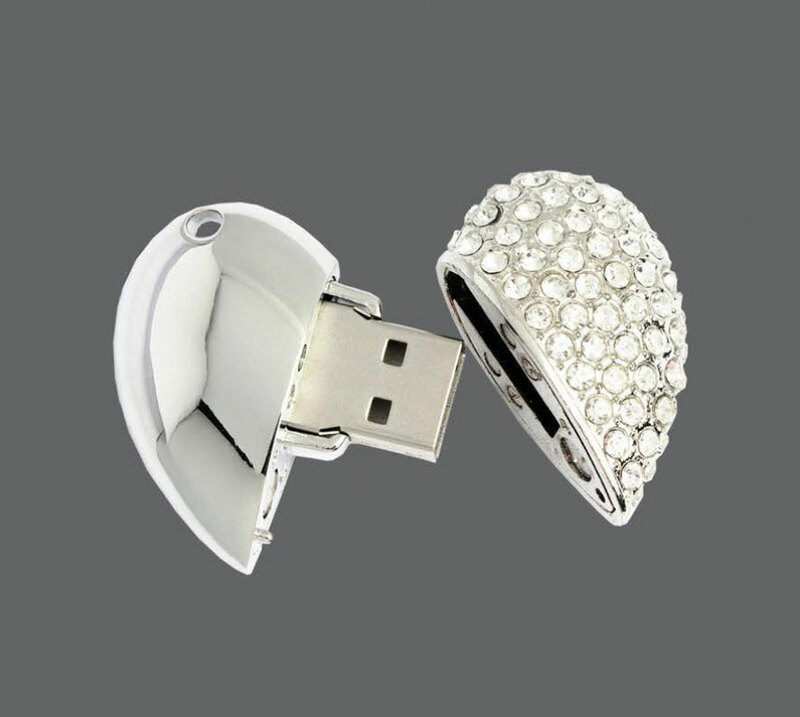 All images will be supplied at full resolution and copyright free on a beautifully jewelled, heart shaped USB drive. Storybooks can also be designed and produced by us if required. Full day’s coverage, up to 8 hours. 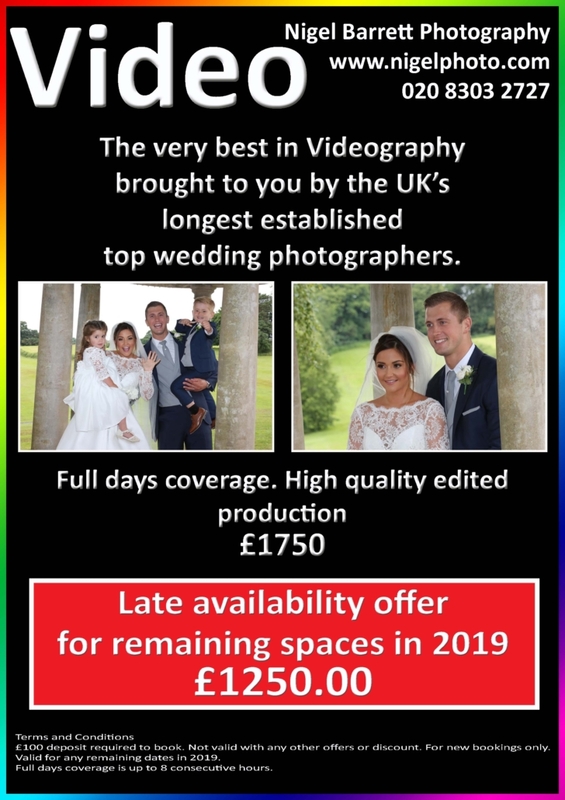 Nigel Barrett Photography have invested thousands of pounds to purchase the latest high resolution cameras and drones. Our video Service now included stills taken from video at a precise moment in time to capture fun and exciting images. 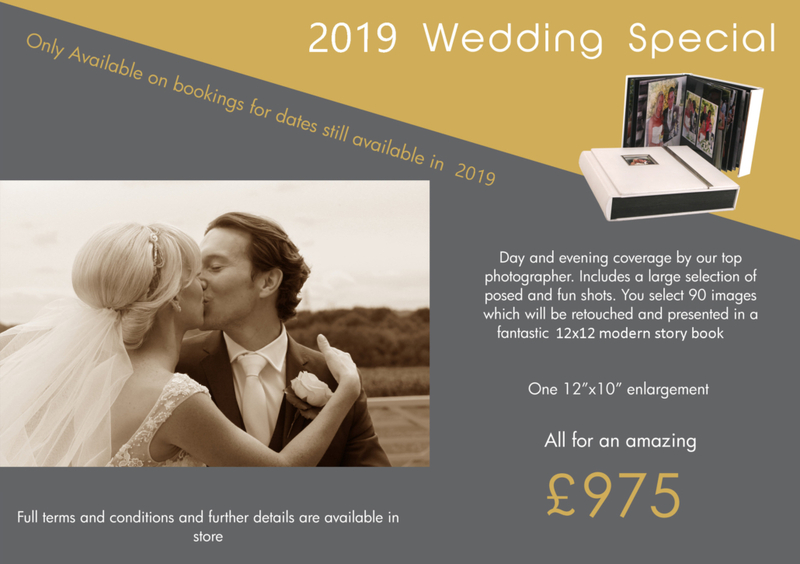 We also offer the latest iPad style wedding box containing the ultimate wedding book with beautiful stills and an iPad style screen which will play your wedding video highlights. We are a small company with an excellent reputation, we offer a personal service tailored to your requirements. We only have limited spaces so please book early.